Actress who played Captain Kara "Starbuck" Thrace on Battlestar Galactica. She began avidly practicing yoga after injuring her knee while swimming in high school. She had her first big role in the TV movie Fifteen and Pregnant. 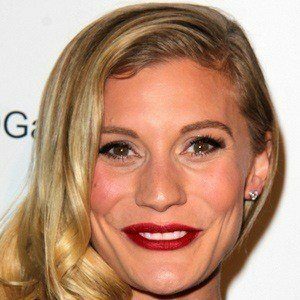 She is the daughter of Mary and Dennis Sackhoff and grew up with an older brother. She started dating Karl Urban in November 2014. She starred with Kiefer Sutherland in the television series 24.